SANFORD - Central Carolina Community College has received a $9,650 grant for its Sustainable Agriculture program. The grant, provided by the Creating New Economies Fund, will allow the college to begin the process of developing the organic farming curriculum to be available in Spanish, and to begin offering it as a way to reach out to the local Hispanic community, with a "feeding our community" goal of helping to create more entrepreneurial opportunities in the local food system. "We look forward to creating a resource for our local farming community, which will provide expanded access to this popular entrepreneurial program," said Robin Kohanowich, CCCC Sustainable Farming Coordinator who is the grant Project Administrator. Andrew McMahan, CCCC Sustainability Department Chair, added, "This project will allow the College to open up new educational opportunities to a community that has deep ties to agriculture in this region." Since the CCCC Sustainable Agriculture AAS degree program began in 2002, the College has trained many individuals interested in either becoming farmers or participating directly in changing the local (and the nation's) food system. These individuals choose CCCC Sustainable Agriculture because they are particularly interested in the concept and practice of a triple bottom line business model -- farm and food-related businesses that are good for the community, good for the farmers, and good for the planet. Ranging in age from 18 to 55+, students come together for the shared goal of creating a more sustainable future through active engagement in the local food system. Program graduates can be found working to further these goals in various community areas. This CCCC Student Farm is the hub of all activity central to teaching prospective new farmers about all aspects of sustainable agriculture and new chefs about the realities of farm-to-fork. 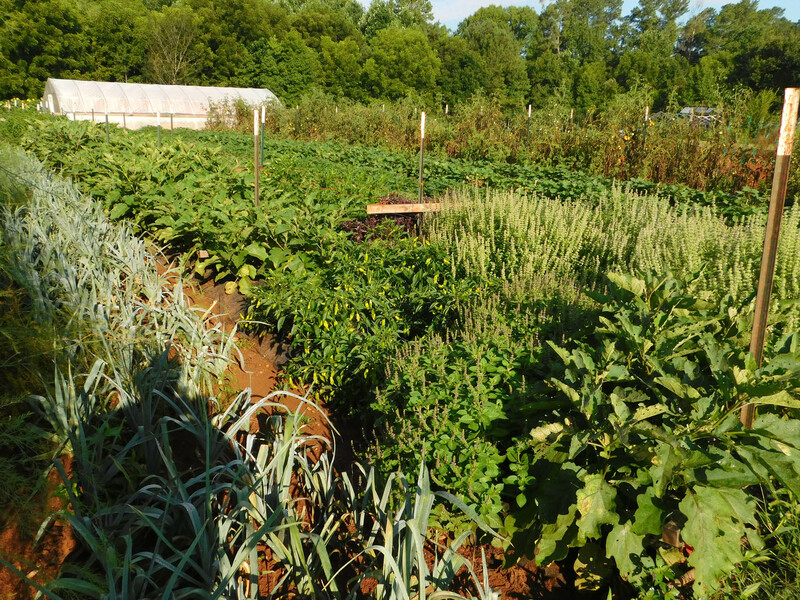 Crops are grown year-round to give students a complete picture of the realm of possibilities for local crop production in the Piedmont of NC. This on-campus farm offers Sustainable Agriculture program student's immediate reinforcement of principles learned in the classroom, and convenient, accessible, and hands-on training. 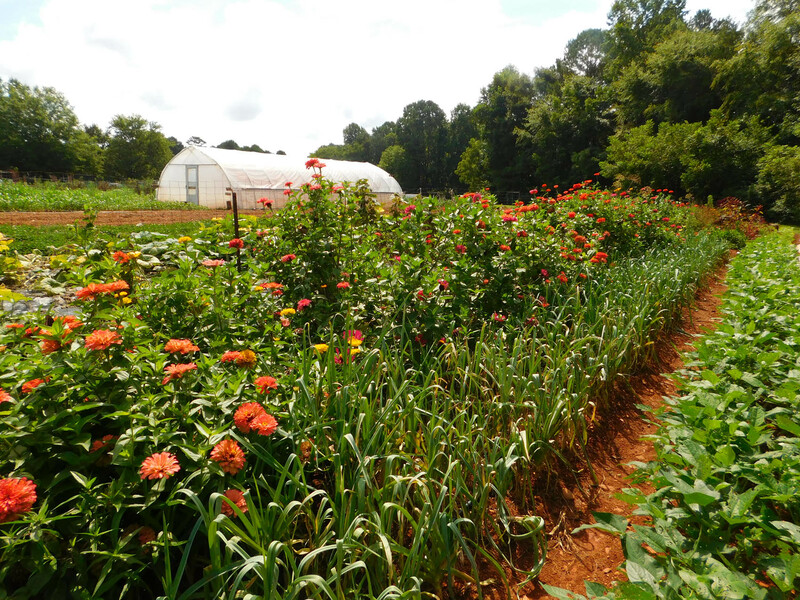 CCCC's Student Farm on its Chatham Main Campus in Pittsboro ranks among the Top 20 best college farms in America, according to Best College Reviews. Best College Reviews noted: "Central Carolina Community College is a pioneer in the teaching of sustainable agriculture among community colleges."